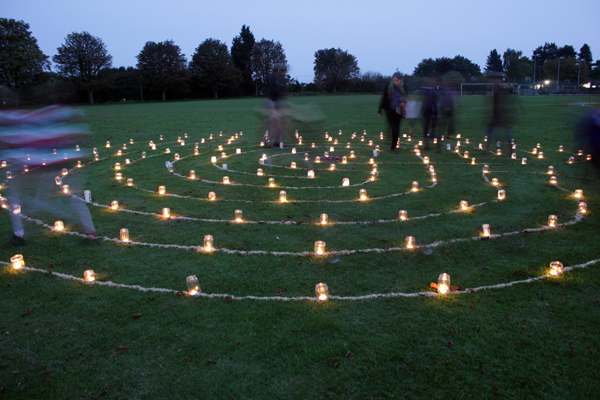 A magical candlelit labyrinth to mark the end of Summer and the start of the Autumn/Winter season. A labyrinth is a bit like a maze, except that there are no tricks or dead ends. There is just one path, which twists and turns, but always leads to the centre. The labyrinth is an ancient design with a history of at least 4,000 years. It appears in many different continents and cultures. 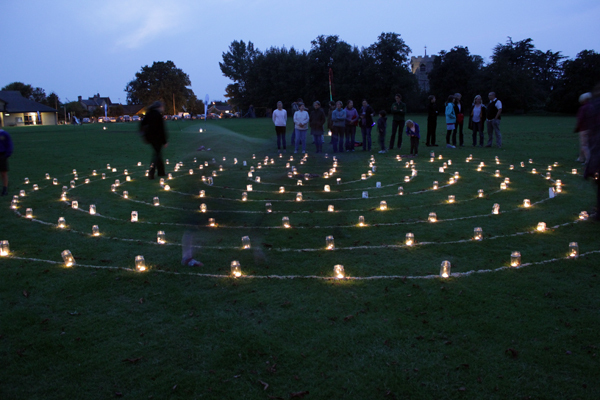 The journey through the labyrinth is sometimes seen as symbolic of the journey of life. 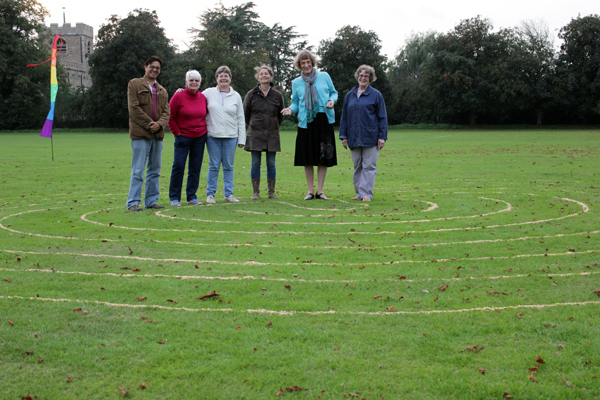 Walking a labyrinth together is a powerful symbol of community. There is no right or wrong way to do it. Some people like to walk slowly and meditatively. 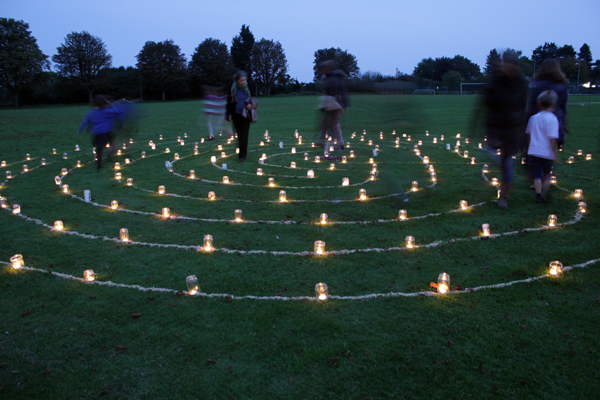 Children often run or dance round the labyrinth! 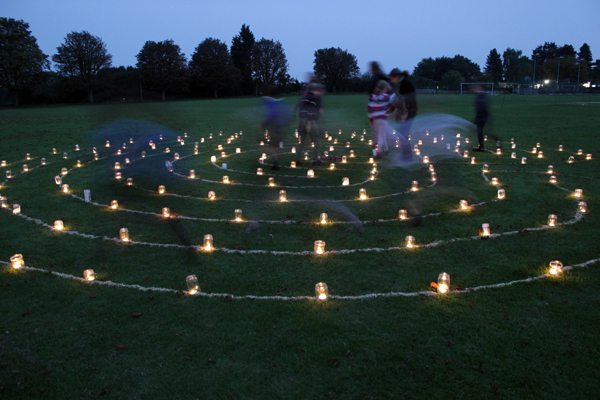 In Tudor times many village greens used to have a labyrinth. In those days they were usually called a ‘turf maze.’ You can still see ancient turf mazes in the nearby village of Hilton and in Saffron Walden. 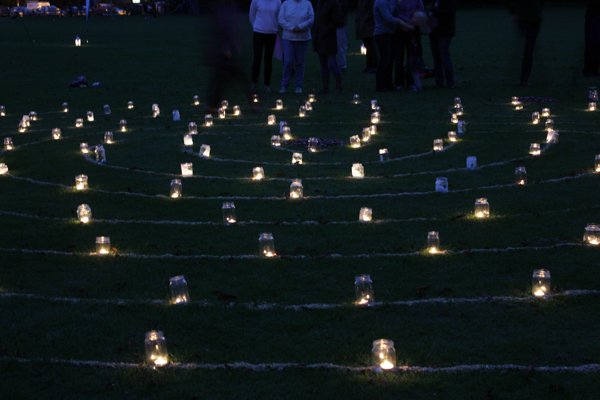 The turf mazes were traditionally a focus for dancing, games and seasonal rituals. 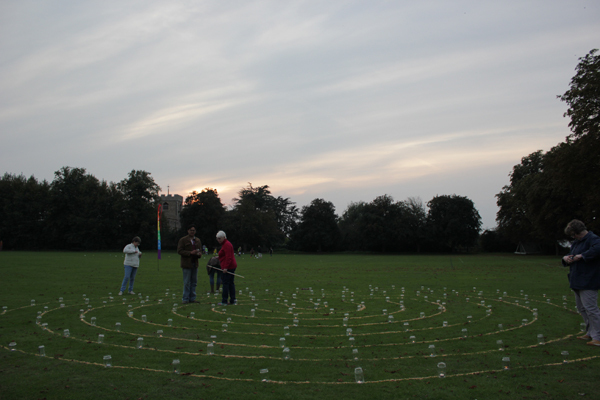 We don’t know if Girton ever had its own turf maze, but it seems fitting to create one here in the heart of our village. 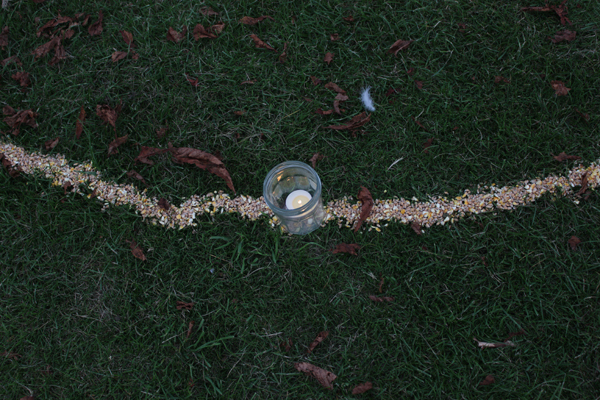 This labyrinth was made from poured corn (led by labyrinth facilitator Kay Barrett) which will be eaten by birds over the coming days. Sunset was at 7pm, and then the magic began!